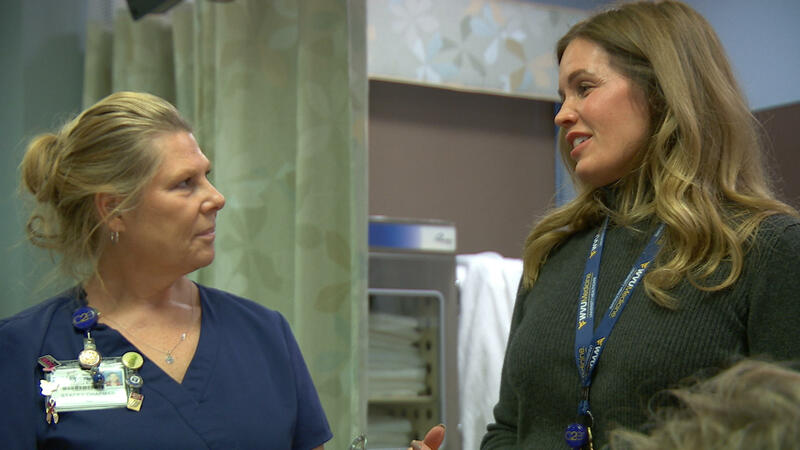 Samantha Richards (right), Vice President and Chief Nursing Officer for Patient Care Services, Berkeley and Jefferson Medical Centers speaking with a nurse at Berkeley Medical Center in Martinsburg. It’s part of an initiative started by the West Virginia Legislature in 1995 called the Health Sciences Service Program. This year, seventeen students have received a portion of $360,000 -- receiving between $15,000 and $30,000 per student. Recipients are chosen based on academic achievement and demonstration of a strong commitment to health in rural areas. To be eligible, students must be studying fields like dentistry, nurse practitioner, pharmacy, primary care, or other related fields. Since 1995, nearly $3 million in state funding has been awarded to 213 West Virginia students.